You may be surprised to learn that the Australian hairdressing industry sends 1,500 tons of recyclable aluminium (that we use for foils, bleaching etc) back to landfill each year. That’s one and a half million kilos, about 715 cars, or 4 jumbo jets! Unfortunately aluminium doesn’t degrade easily, it actually contaminates the soil for 500 years. Add to this the waste of plastics, colour tubes, cut hair and more, and you soon see that beauty at any price is no longer an option. After joining Sustainable Salons Australia (SSA), Hair by Phd is set to change all this. We now recycle 95% of our waste across both our Parramatta and Carlingford salons by using the comprehensive resource recovery service offered by Sustainable Salons Australia. Rather than contaminating the waterways, excess shampoo and hair colour waste now go to a chemical recycler. Plastics are also recycled into construction material and gardening equipment. What’s more, our salon staff love that the proceeds from recycling benefit the community through several programs. Every kilo of recycled aluminium helps Oz Harvest fund four meals for the homeless. Ponytails from long hair that is cut off go to the Variety Charity to provide wigs to children with alopecia, while cut hair is made into booms used to absorb oil spills. As clients become more aware of the impact products have on the environment, they have also welcomed the opportunity to make a difference. Stay tuned for all the details by following us on Facebook, Instagram, Pinterest, Google+ or Snapchat! You can also now join our VIP Members Group on Facebook to stay up to date with the absolute latest in salon, and have immediate access to our stylists for all your questions. Join here. P.S. To be part of the Sustainable Salons Australia program there is a small fee charged on every service provided in our salons, as part of our commitment to our clients and this program, Hair by Phd will not have a price rise this year to offset the small fee payable by our clients. 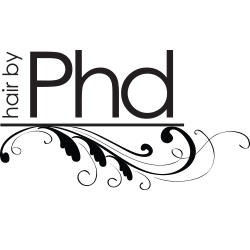 Hair by Phd is always at your service.